One of the longest beaches on the island, Baie Longue (or Long Bay) is located in the French St. Martin, on the western coast of the island. It is one of the island’s quietest beaches, where you can rest under the sun, with only the gentle lapping of the waves to disturb you. 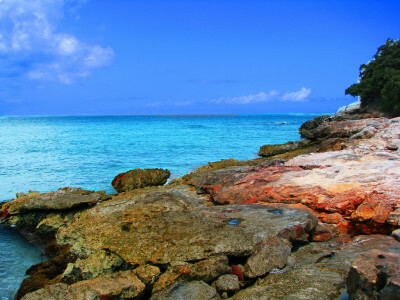 You will feel in paradise with the turquoise seas, white sands, and friendly pelicans. 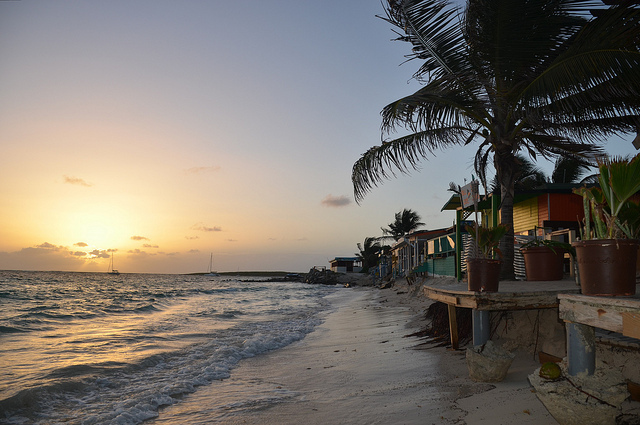 TIP: You can’t miss watching the sunset at the bar in La Samanna’s restaurant. 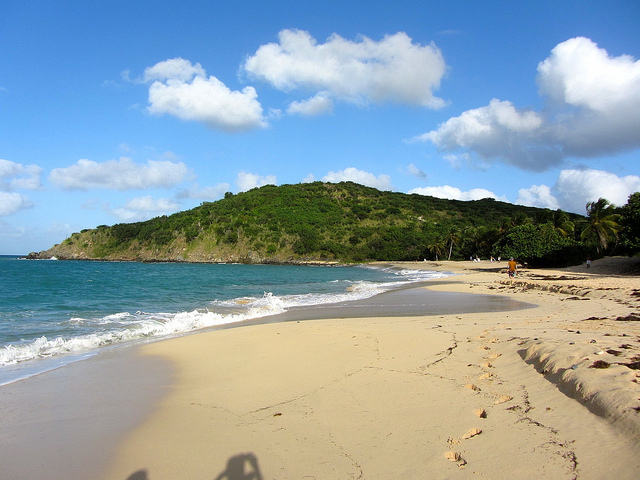 Baie Orientale (Orient Bay) beach is one of the largest and most popular beaches on the island. It is situated on the Atlantic Ocean coast and is known as the “Saint Tropez of the Caribbean” because of its glamor and a wide range of deluxe amenities, such as restaurants, hotels, and shops. TIP: On the extreme south of the bay you can find a naturist beach. After a 10 minutes hike through the hills, you will reach this paradise tropical beach. 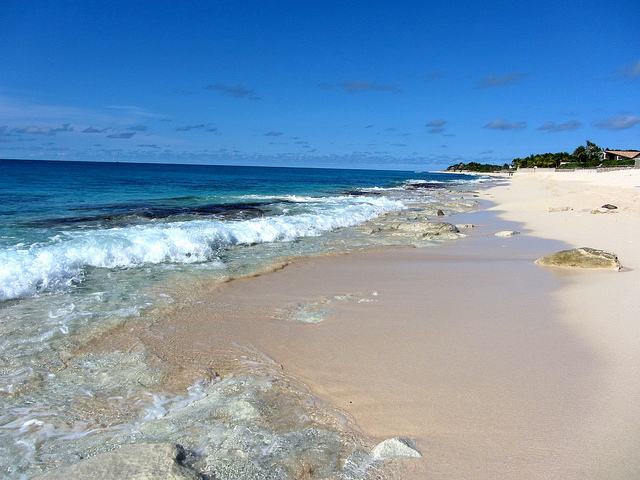 It is one of the most beautiful beaches of the island as it has managed to preserve its authentic and untouched charm. TIP: With its white sands and coconut trees, Happy Bay beach is ideal for picnicking. 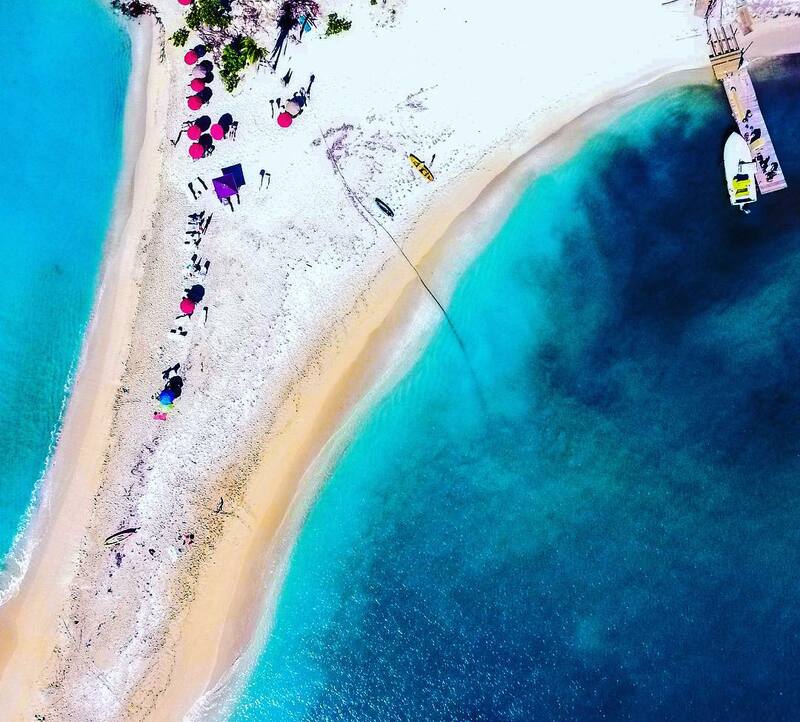 Baie Rouge or Red Bay beach is not only one of the most beautiful beaches of St. Martin, but also one of the most popular. It takes its name from its slightly colored sand.The beach has plenty of life and a pleasant atmosphere, with small beach restaurants, clubs with deckchairs and parasols. TIP: Competent swimmers will enjoy swimming through the small rock arch, where a small secluded beach awaits at the base of the cliffs. 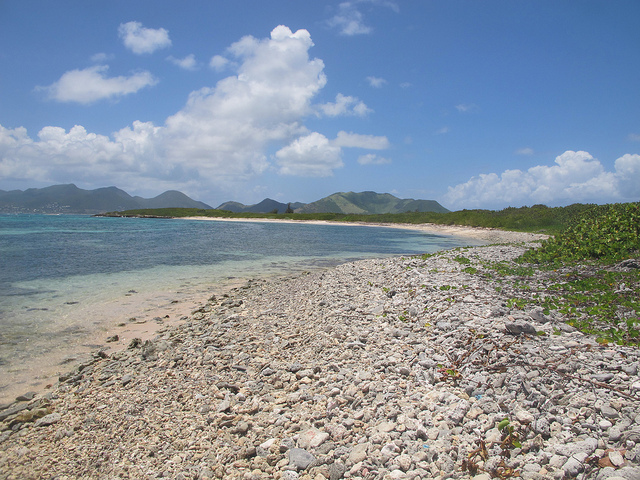 This is an uninhabited island located 4km from the northeast coast of St. Martin. This peaceful beach with greenery covering 100 hectares in the middle of the ocean lies within the boundary of the St. Martin Nature Reserve. It features the remains of an airstrip, a small rail track, and a cotton plantation. This paradise island has different beaches, where we can highlight the Baie Blanche, the most accessible bay on the west coast that has a delightful beach for swimming; and another one on the East part of the island, that is wilder and rocky and wild, not suitable for swimming but to discover diverse fish species. TIP: There isn’t a place to buy food or water on the island, so come well prepared. This small paradise island is in the heart of the Nature Reserve, on the east coast of St. Martin. Here you can find two breathtaking beaches. 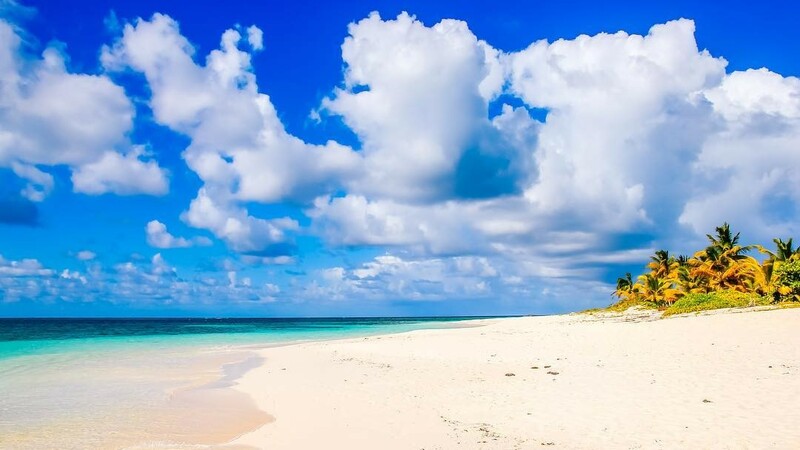 The one facing St. Martin is a white sand strip with shallow waters, ideal for a family with children. The other one is stony and wildly, 10 minutes walk away on the other side of the island. Pinel Island. Photo by @gusmilossi. Used with permission. This unspoiled and deserted beach is perfect for nature lovers, as well as a spot for surfers. TIP: The access is via a roughly 30- minute walk, but is worth the trek! It's actually two beaches in one, separated by a promontory known as Eden Rock. Here there are hotels, watersports activities, restaurants and shops; that build up a lively atmosphere on most days. In this beautiful south coast beach, you can see scenic cliffs that ring the sand, where you can practice snorkel. It’s a bit of a drive to get there, but the reward is a feeling of remoteness and privacy. This famous beach has it all, from an offshore reef that attracts colorful tropicals and snorkelers, to bars, restaurants and beach resorts. TIP: Just pick a spot to place your towel and spend the day between the blue water and fresh drinks. Shoal Bay, Anguilla. Photo by @ericgolda. Used with permission. If you are planning your next yacht charter to St. Martin you can’t miss our St. Martin Yacht Charter Itinerary. Or if not, it is always a good moment to start looking for yachts. 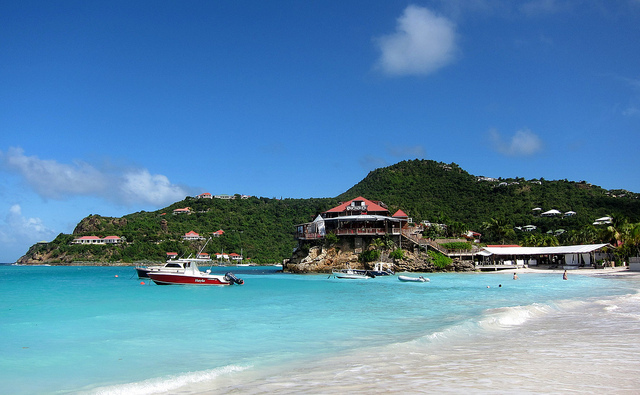 Have you already visited St. Martin? 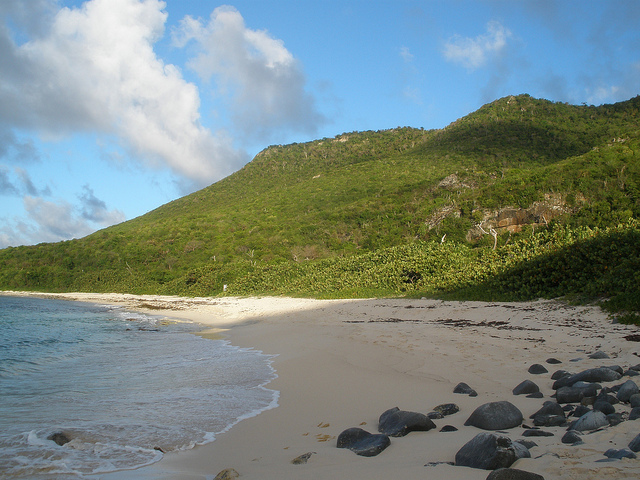 Check the 7 BVI Best Beaches you can’t miss.